Easter brings a four-day weekend - which can be a little bit of a challenge when it comes to planning your weekly shop. Never mind, if you havn't made your choice, now take a look at the special Easter Gifts offered by iFastime - 20% OFF deal for iFastime Video Converter Ultimate for Windows and Mac at only $36.76 for lifetime license at Facebook. The special deals start today, and end on April 4, 2016. As a Video Converter: This media converter suite acts as a HD video converter that can easily convert video/audio between various formats for multiple devices and extract audio from video so that you can save it in various formats. It can process both standard video and up to 1080p HD/4K videos no loss in quality. As a DVD Ripper: The suite also is a professional DVD converter. iFastime Video Converter Ultimate for Win/Mac can help copy, rip, and convert DVDs to SD/HD videos or extract audio from DVD movies so that you can save in multiple formats. It can deal with CSS-DVDs and common discs as well. As a Blu-ray Ripper: It has the ability to remove protection of lastest Blu-ray and easily backup/convert them to multiple formats for various uses. As a Video editor: You can edit videos by trimming video length, cropping video size, adjusting video brightness, contrast, saturation, etc., applying images or text watermarks， addind special effect/subtitles. As a 2D-to-3D converter: For 3D movie fans, this video converter toolbox enables you to create 3D movies out of 2D video sources in six different 3D effects: Red/Cyan, Red/Green, Red/Blue, Blue/Yellow, Interleaved, and Side-by-Side. The 3D depth is also adjustable to make the final 3D movie more vivid. Both iFastime Video Converter Ultimate and iFastime Video Converter Ultimate for Mac offer optimized profile for for most devices — iPad, iPhone, iPod, Surface, Android, BlackBerry, Samsung/LG/Sony/Panasonic TV, and more. Advanced users can adjust the video and audio parameters. The lifetime license of them are only $36.76 now, save you $9.19! 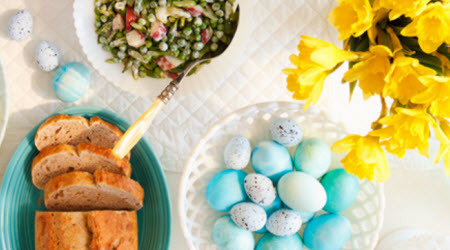 Don't hesitate; check these cost-effective Easter presents right now, you're sure to put a smile on your loved one's face. The only thing that might hold your attempt back is the 20% OFF special deals shall soon end on the coming April, 4. Move fast! Move on for the detailed story.